I continue to be astounded by the high interest in Bow to Bluff: neither wind nor snow nor gloom of winter cold will stay those citizens who want to be consulted about their great public spaces! (apologies to the US Postal Service here). Last weekend, over fifty hardy souls braved snow, Saturday traffic, and -27degC windchill to attend the REFINE the DESIGN workshop. This is what positive, collaborative engagement looks like! 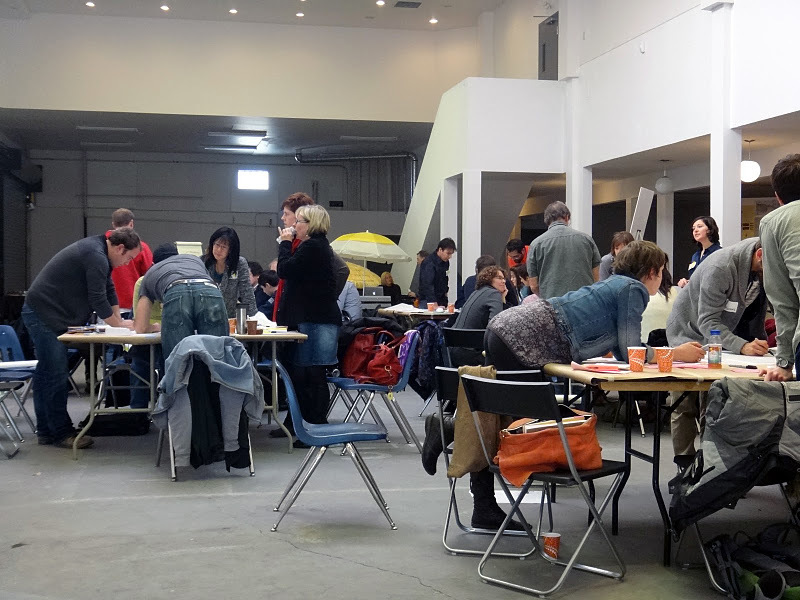 In the chilly but cheerful Ant Hill building, participants huddled around the hot-off-the presses design framework put together by our team from O2 Planning + Design. The designers listened to feedback from folks on the initial design concepts in a casual, open house format. Now that we’ve finished the engagement phase of the project, we can celebrate a little bit! Bow to Bluff will hold one last event to wrap up what has been a rather wildly successful experiment. Drop in on Thursday December 8th, from 7pm to 9pm, at the Hillhurst-Sunnyside Community Association (1320 5th Avenue NW) for a toast to the power of ordinary citizens, and to have a peek at the design concept in progress. 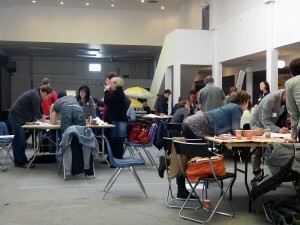 Previous post: Working up a (brain)storm at DESIGN!